Welcome to Hotel Plat d'Etain à Paris. 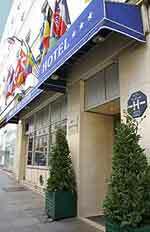 3 star hotel, near East and North train stations, in the living district of the Sentier. irect by metro to Opera, the Halles or Notre-Dame de Paris.